So sad! 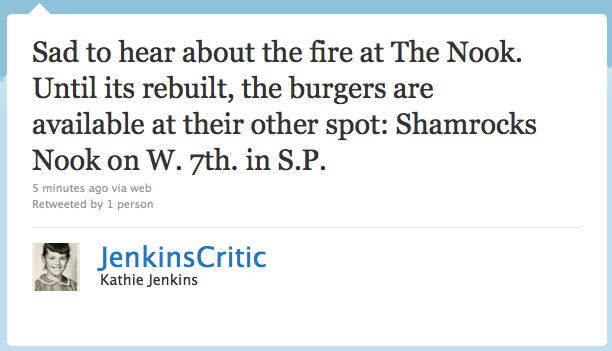 The Nook is/was my absolute favorite spot for a jucy lucy. Shamrocks is very good as well but not quite the same. I wish them the best as they rebuild and I hope for a triumphant return.